I was really blessed to be able to attend Dreamforce and learn even more about Salesforce. While attending there, I attended a lot of the different keynotes and saw a lot of the new exciting features in action. At Dreamforce there was dozens of interesting sounding sessions. There were a few different ones that really stood out to me and offered interesting and new material to me. I believe that a lot of the sessions were recorded and able to viewed at a later date which is really exciting and available on youtube here. One of my favourite sessions was Advanced Development using Apex Design Patterns by Robert Nunemaker. The vide is one if the hundreds uploaded by Salesforce to youtube here. 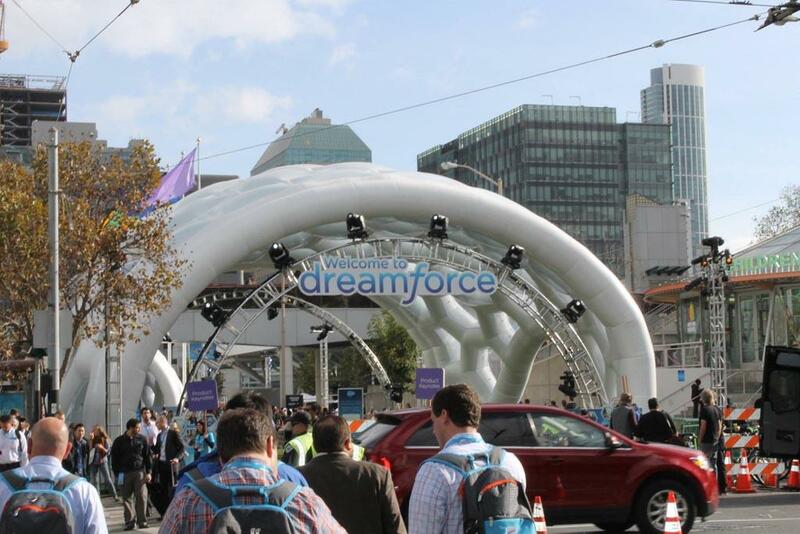 By Far, Wave was the most interesting announcement at Dreamforce 2014. It is a fairly dynamic business intelligence product that is optimized for use on mobile devices. What’s most awesome about Wave is that it will allow for on the spot and completely interactive exploration by business users rather than the static generated reports that have been prewritten. Through the use of fuzzy logic and other logic it will now be possible to stop duplication from occurring within Salesforce. Sales Reach units the power of Pardot, Communities and Sales Cloud into one system. Apparently, it will be able to do popup notifications on the Salesforce1 Application and assist with Leads/Prospect Tracking. Lightning is all about reducing development time and code. Lightning is basically a component framework and new set of tools that make building apps and making automation much faster. Process Builder allows business processes to be automated more easily and in a visual way. Lightning Connect is the ability to connect to external data sources and with point and click be able to incorporate the data into Salesforce. The basic idea is that gone are the days of legacy systems and data silos, it would now be possible to use this data in Salesforce and with Wave. Smart Agent Console is designed to make it easier to provide good customer service to customers by making searching more intelligent, and where applicable making it possible to show sales data and billing data. It’s no secret that more competent agents allows companies to offer better service with less agents, reducing their service costs. Community Designer offers a few different themes that out of the box allow businesses to better connect to customers and reduce support costs. Community Designer allows new communities to be deployed by writing no-code and using point and click. Topics allow users to access all of the relevant information in one place and even follow it to always stay up to date. I’m so excited for Dreamforce 2015 and can’t wait to go.